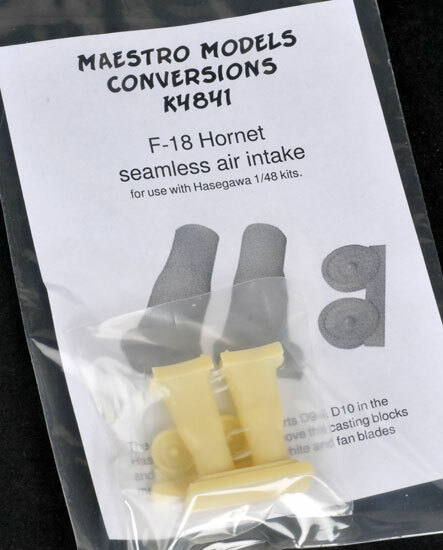 Crisply moulded in a pale cream coloured resin Maestro Models have produced a simple set that eliminates the joints and produces accurate length intakes for the 1/48 scale Hasegawa F18 Hornet kit. The set designed as a simple replacement set for parts D9 and D10 that requires no kit surgery. The set contains 4 resin parts, the entire intake lip and trunk as a single moulding and separate engine compressor faces. This is an excellent set from Maestro models and only a moderate level of modelling experience is required to install the set. 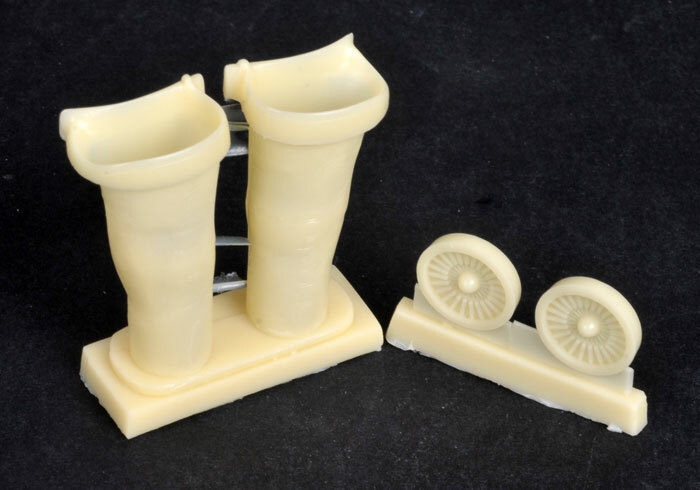 This set eliminates any difficult join lines that are associated with kit jet intakes.